We are excited to announce that iCivics Executive Director, Louise Dubé was named a finalist in the "National" category and won. 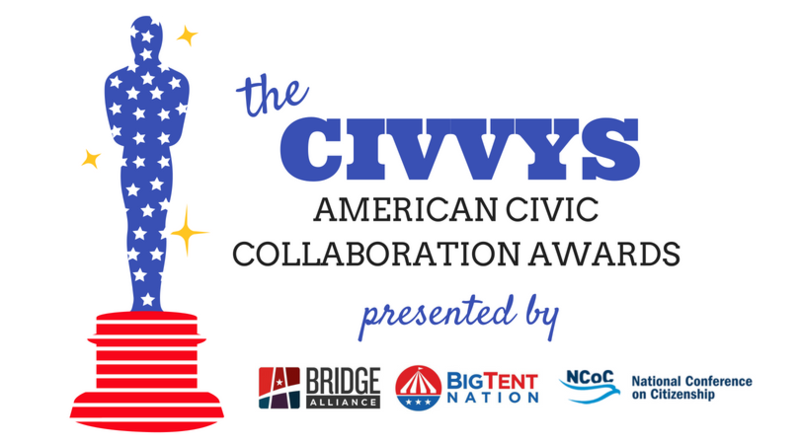 The Civvys highlight collaborative, scalable and high-impact efforts in civics across the country. Awards for the 2018 winners in each category, were presented at a midday ceremony during the National Conference on Citizenship held next week. You can watch the iCivics announcement here. A full list of Finalists with pictures can be found here. Following the ceremony, iCivics Chief Education Officer, Emma Humphries presented to NCoC Conference attendees a six-minute pitch on iCivics mission and work. Watch the full presentation below. Find the full press release here. Catch up with the events of the day by following the hashtags #Civvys and #ItsYouDemocracy on Twitter!